Stonehenge is a megalithic monument on the Salisbury Plain in Southern England, composed mainly of thirty upright stones (sarsens, each over ten feet tall and weighing 26 tons), aligned in a circle, with thirty lintels (6 tons each) perched horizontally atop the sarsens in a continuous circle. There is also an inner circle composed of similar stones, also constructed in post-and-lintel fashion. 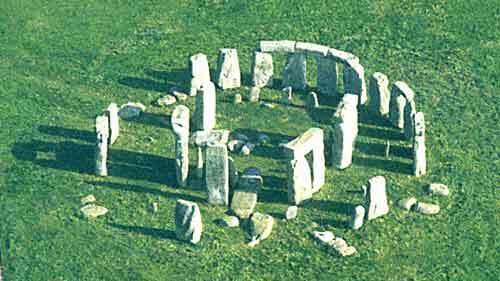 In the 1940s and 1950s, Richard John Copland Atkinson proposed that construction occurred in three phases, which he labelled Stonehenge I, II, IIIa, IIIb, and IIIc. This sequence has recently been revised in Archaeological Report (10) published by English Heritage [ Phase I (2950-2900 BCE) ]. Constructed without the use of draft animals and shaped by stone tools, Stonehenge was erected many miles from the quarry from which the stones came. It is an amazing feat of engineering, and many stories, both old ones and retellings, frequently name Merlin as this engineer. This is due largely to one Gerald of Wales (Giraldus Cambrensis), a historian of the 12th century, who wrote a book titled The History and Topography of Ireland... Explore Stonehenge English heritage. 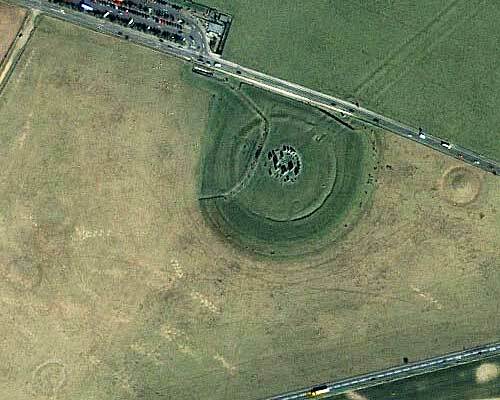 Gerald called Stonehenge "The Giant's Dance," because he had heard stories that giants brought the stones from Africa to Ireland, and built the monument (by some accounts on Mount Kildare, and by others "at Ophela, near the castle of Nas" (O'Meara, ). Later, Gerald said, Aurelius Ambrosius, king of the Britons, had Merlin bring the stones to Britain. However, the archaeological evidence at Stonehenge simply does not support an Arthurian date of construction. The archaeology points to a construction date between 5,000 and 3,000 years ago (more than likely, several construction dates over this time). Stonehenge is angled such that on the equinoxes and the solstices, the sun rising over the horizon appears to be perfectly placed between gaps in the megaliths. This is doubtless not an accident, and probably contributed to the stories of its mysterious origins. 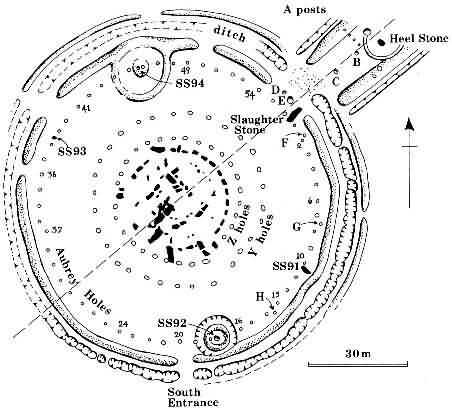 Gerald Hawkins, a Professor of Astronomy, concluded that Stonehenge was a sophisticated astronomical observatory designed to predict eclipses (Stonehenge Decoded). The positioning of the stones provides a wealth of information, as does the choice of the site itself. If you can see the alignment, general relationship, and the use of these stones then you will know the reason for the construction. The author, and other astronomers, discovered the 56-year cycle of eclipses by decoding Stonehenge! The movement of stones once each year from an initial fixed position allows to predict accurately every important lunar event for hundreds of years. This computer would need resetting about once every 300 years by advancing the stones by one space. Mankind generally used the cycle of the moon as a unit of timekeeping. Every year on the first day of summer, the Sun rises at a point that is farther north than on any other day of the year. At the ruins of Stonehenge in England, this solstice sunrise appears on the horizon in direct alignment with the massive heel stone. This is the most outstanding feature of this ancient monument, built during the same era as the Great Pyramid of Egypt. There is little doubt that the builders of Stonehenge used it to mark this special day as the beginning of each year. By counting the number of days between these annual alignments, they could determine the length of the year. This could serve as a practical calendar to mark holidays and seasonal festivals and to ensure the timely planting and harvesting of crops. But to predict eclipses, knowledge of two other cycles is required. One of these -- the length of the lunar month -- is easily determined. It is simply the number of days between one full Moon and the next. 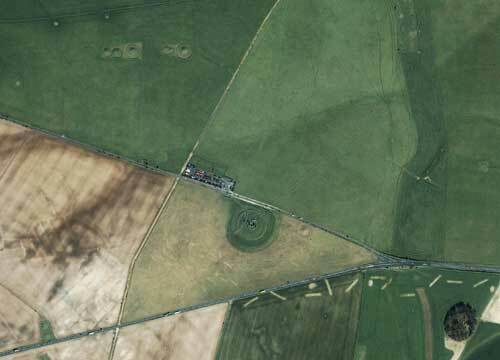 This cycle of 29-1/2 days is marked at Stonehenge by two rings of 29 and 30 holes, which together average 29-1/2. The other cycle, however, is of an altogether different character: it is a cycle of rotation of two invisible points in space. The evidence shows that the builders of Stonehenge probably discovered this cycle and could have used it to predict eclipses. These two invisible points in space are called the lunar nodes (from the Latin for "knot"). They are the points where the Moon's orbit, which is tilted at a slight angle, intersects the plane of the Earth's orbit. It would have taken many decades of watching countless risings and settings of the Moon to figure out the cycle of the lunar nodes. This information -- which must have been passed on from generation to generation -- is preserved at Stonehenge. All the Moon alignments necessary for determining this cycle are marked by massive stones. An eclipse can occur only when the Sun is close to being aligned with a node. By using Stonehenge to keep track of the position of the Sun and the nodes, these "danger periods" for eclipses can be predicted. A new (or full) Moon appearing during one of these periods would call for a special vigil to see if the solar (or lunar) eclipse would be visible from Stonehenge. A total solar eclipse would be a rarity. But the law of averages confirms that either a partial solar eclipse or a lunar eclipse can be seen (weather permitting) from the same point on the Earth about once every year. Why would eclipses have been so important to the ancient people of Stonehenge? Perhaps they considered the darkening of the Sun or the Moon a fearsome event -- a celestial omen of doom or disaster. Many cultures have interpreted eclipses this way. 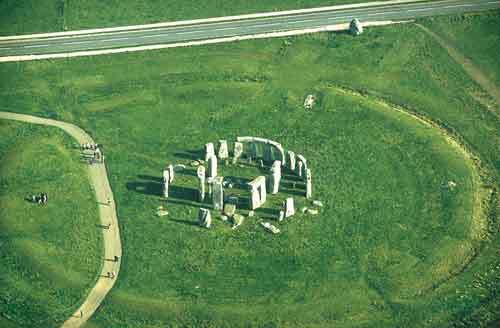 But the sophistication of the astronomy of Stonehenge suggests that the builders had something different in mind. Their understanding of the solar and lunar cycles must have led to a high regard for the cosmic order. Eclipses may have been seen as affirmations of the regularity of these cycles. Or perhaps the unseen lunar nodes formed an element of their religion as invisible gods capable of eclipsing the brightest objects in the heavens. The idea that Stonehenge may have been a center for some kind of worship has occurred to many. It is not hard to imagine Stone Age people gathering at a "sacred place" at "sacred times" (such as solstices, equinoxes, and eclipses) to reaffirm their religious beliefs through ritual practices. British antiquarian Dr. William Stukeley, who in 1740 was the first to note the summer solstice alignment at Stonehenge, advanced the notion that the monument was built by Druids to worship the serpent. He claimed that Stonehenge and similar stone circles had been serpent temples, which he called "Dracontia." Could this serpent symbolism be related to eclipses? Recall that the key to eclipses is the position of the lunar nodes. The length of time for the Moon to return to a node (about 27.2 days) astronomers call the draconic month. (Draco is the Latin word for "serpent" or "dragon.) Perhaps the mythical serpents of Stonehenge and the legendary dragon that eats the Sun are symbols of the same thing: the invisible presence in time and space that eclipses the Sun and the Moon. Modern scientific investigations show that Earth has been hit many times by objects such as comets and meteorites. Laboratory work on comet impact effects demonstrates that comets could cause tidal waves to exceed three miles tall and near 400 miles per hour. In the last 10,000 years, there have been two impacts of such proportion: a seven-fold impact into all the world's oceans around 7640 B.C., and a single impact into the Mediterranean Sea about 3150 B.C., the time of Noah's Flood. Christopher Knight, Robert Lomas (Uriel's Machine) prove that ancient Europeans not only survived the 7640 B.C. flood, but developed a highly advanced civilization dedicated to predicting and preparing for future meteoric impacts. Building an international network of sophisticated astronomical observatories, these ancient astronomers created accurate solar, lunar, and planetary calendars, measured the diameter of the Earth, and precisely predicted comet collisions years in advance. This was the true purpose of megalithic structures such as Stonehenge. In 3150 B.C., the ancients' predictions proved true, and their device- Uriel's Machine-allowed the reconstruction of civilization in a shattered world. A fascinating study of humankind's past, present, and future, Urie/'s Machine proves the world was indeed flooded, but survived wholly due to these ancient Europeans, their heavenly knowledge, and one remarkable machine. AboutStonehenge.Info provides Stonehenge information, pictures, legends, and more including theories on construction, purposes, and age for both students and tourists. "... no matter how clever we think we are today, greater minds have existed in the remote past." John K Young, Ph.D., is a Professor of Anatomy at Howard University in Washington, D.C. He?s translated several Russian science books, and also written some medical books for young adults. "All across the continent of Europe, massive stone monuments erected by a prehistoric culture can be found. These megalithic stones, resisting centuries of weathering or assaults by modern men, are all that remain of a society that has been erased by time. Stonehenge is the most familiar of these megalithic monuments, but in fact represents only one of many similar sites. Who were the people who built these monuments? Why were these stones significant to them?" Sacred Sites of the Knights Templar examines sacred megalithic sites across the globe such as Stonehenge and Rennes le-Chateau revealing the astronomical significance of these sites as well as the secrets that significance bore to the Knights Templar. The latest archaeological methods provide fascinating insights into the perplexing history of Stonehenge. Over 200 striking full-color photographs reveal the collection of stones from various perspectives, allowing readers to sense the mysterious aura that surrounds this place. Maps and charts. The book is richly illustrated throughout with photographs going back over 100 years, plus drawings and paintings that date back at least to the 16th century. In this book you get to meet many interesting characters who left their mark on Stonehenge and its interpretation, from John Aubrey, William Cunnington, Inigo Jones, Colin Renfrew to modern new age researchers. They and their concepts are all presented here. 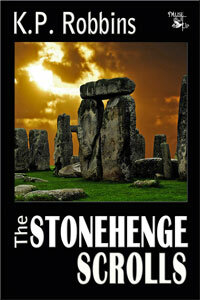 This book is a start for anyone interested in learning more about Stonehenge. It is written with a sense of humor, and in a very readable style. You can then branch out to read more in-depth studies of the various theories and paradigms that you are interested in. For those who are enthralled by Stonehenge and the many other awe-inspiring prehistoric stone circles of Britain, archaeologist Aubrey Burl now offers fascinating insights into their many mysteries. In this book he selects a dozen of the most evocative rings and proposes sometimes surprising answers to questions about the circles-their purpose, construction, age, design, art, legends, and relation to astronomy. This practical and knowledgeable guidebook is the first to deal comprehensively with the stone circles of Britain and Ireland and with the cromlechs and megalithic "horseshoes" of Brittany. Filled with fascinating information, useful maps, and arresting photographs, this invaluable resource describes over 400 sites and discusses the archaeology and architectural features of each ring. In a book that finally solves the riddle of Stonehenge, scholar John North draws on more than 15 years of research to offer a masterful "case-closed" study in which he examines the monument from all available angles --archeological, astronomical, and spiritual --and considers relevant research from other prehistoric remains in Britain and Northern Europe. 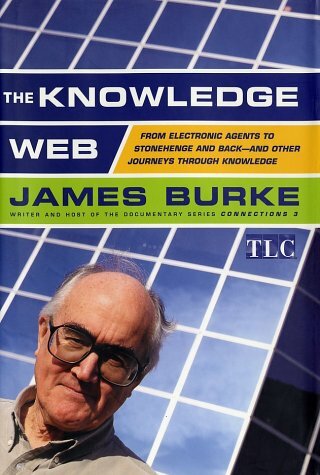 “How did the Stonehenge monuments come to be? Plenty of nonfiction titles discuss possibilities, but for a fictional perspective that is compelling and involving, you can't beat the thrills and unusual perspectives of The Stonehenge Scrolls. A fine saga, The Stonehenge Scrolls is driven by drama and tight, involving writing and is a pick for any who enjoyed Auel's 'Earth's Children' series and similar historical novels.” -- Midwest Book Review. In this e-novel based on known archaeological discoveries, eleven ancient scrolls unearthed near Dublin record the oral history of Stonehenge. In alternating chapters, fictional archaeologist Maeve Haley writes a blog asking if the scrolls could be true and speculating on the meaning of Stonehenge. 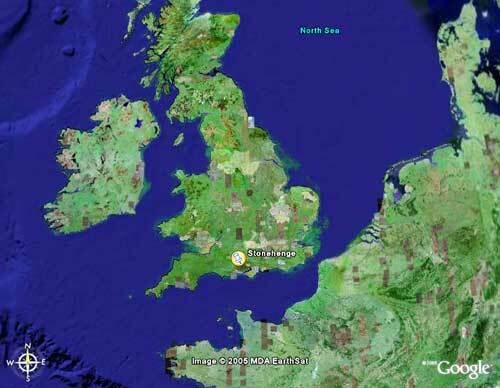 Stonehenge and Other British Monuments Astronomically Considered. Michael Poynder, London: Rider, 1992.
International explorer, archaeologist and author Jonathan Gray has traveled the world to gather data on ancient mysteries. He has penetrated some largely unexplored areas, including parts of the Amazon headwaters. The author has also led expeditions to the bottom of the sea and to remote mountain and desert regions of the world. He lectures internationally. Book 2 – "SURPRISE WITNESS" shows what happened DURING that great Deluge - the cosmic calamity that ripped the Earth to shreds and wiped out the original Mother Civilization. Not only were the antedeluvian people buried, but their technological achievements were destroyed, including all form of machinery and construction. The skeptic may shout himself hoarse. But this event surely happened. We have evidence that is more substantial than for any other event of history. Book 3 – "The Corpse CAME BACK!" Now comes the fast moving, fascinating story of the settling down of Planet Earth AFTER the Flood, and its effect upon human history. © 2002-2012 World-Mysteries.com, All Rights Reserved.